Manchester United's problems go well beyond the manager's dugout, and while Ole Gunnar Solskjaer has rejuvenated the club, its current slump could result in another year on the outside of the Champions League picture. The sure-fire touch of Ed Woodward, football’s anti-Midas, has not deserted him. 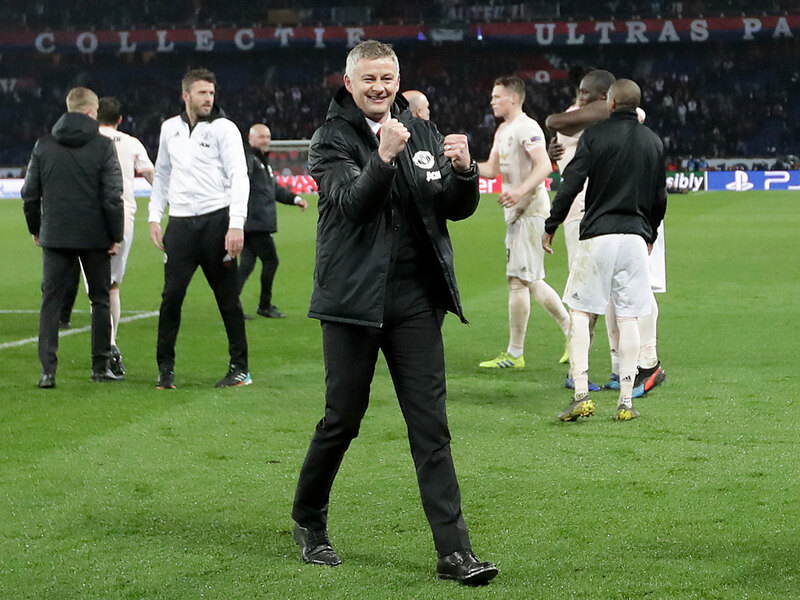 When Manchester United’s chief executive decided, after two defeats in a row, to give Ole Gunnar Solskjaer the manager’s job on a permanent basis, the risk was always that something like Tuesday night would happen. Man United’s emphatic 3-0 defeat to Barcelona means it is out of the Champions League and, after five losses in its last seven games, there is a significant possibility it will not qualify for the competition next season. After the dismissal of Jose Mourinho in December, the appointment of Solskjaer until the end of the season seemed inspired. Bringing back a hugely popular club legend bought United time. Solskjaer’s stint at Cardiff City had not gone well, but he could be relied upon to calm the atmosphere around Old Trafford, to reduce the tension and toxicity that so often characterizes Mourinho’s reign at a club. He was neither of the stature nor personality to be demanding the job permanently, meaning the second half of the season could be spent assessing options, perhaps sounding out contenders for the job. The problem came when Solskjaer began too well. There were eight victories in a row. There were a club-record eight consecutive away wins. There was progress against Paris Saint-Germain. When he had taken over, the possibility of finishing in the top four seemed remote. Suddenly, even winning the Champions League seemed possible. In the last international break, Woodward acted, and he made Solskjaer’s contract permanent. Perhaps that did make it simpler for future planning. Perhaps knowing who the manager would be did make it easier to begin negotiating with new signings or extending the deals of those already at the club. But the advantage gained in December has been lost. Having had three months to assess Solskjaer, Woodward essentially rejected the chance to have two more–and just as he did so, it’s all started to go wrong. Nobody realistically can blame Solskjaer for the mess in which United now finds itself. The question is whether he is the right man to clean it up, and to that there is no easy answer. Tuesday laid bare United’s biggest problem. 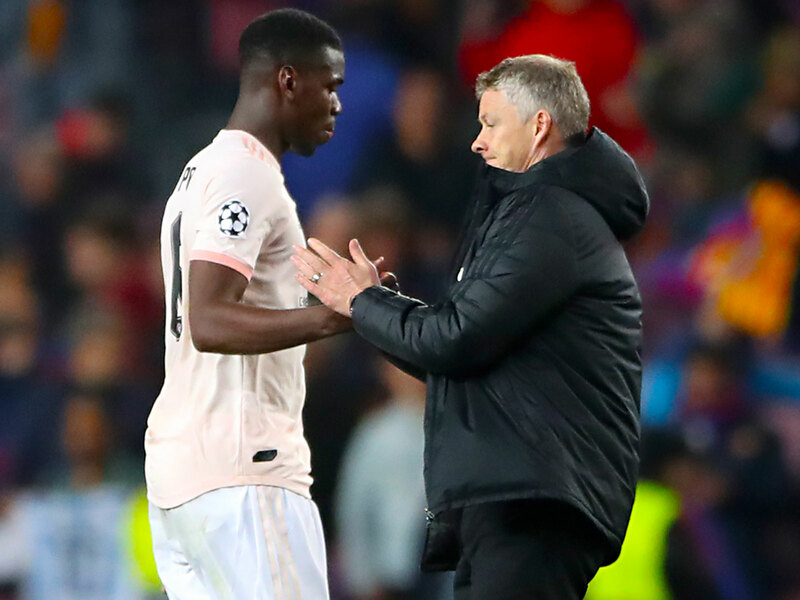 United troubled Barcelona in the first quarter hour, suggesting Solsjkaer tactically had gotten it right, but he was then undone by a string of basic individual errors. The squad simply isn’t good enough. Of the five-man unit of goalkeeper plus defense, four–David De Gea, Ashley Young, Phil Jones and Chris Smalling–had played in the 2-1 defeat to Basel in December 2011 (albeit that Young was a winger in those days). The only new man was Victor Lindelof, and he was playing out of position at right back. It’s true that Luke Shaw was suspended and Eric Bailly and Antonio Valencia are injured, but the latter two haven’t been playing recently anyway and, besides, that’s hardly the sort of personnel crisis that should derail a superclub. That speaks of a fundamental failure of scouting and recruitment. De Gea has probably been United’s best player since the departure of Sir Alex Ferguson, but his error that gifted Lionel Messi his second was not a huge surprise. He has seemed more fallible this season, perhaps a hangover from his poor World Cup, which itself seemed in part to be caused by the way Spain demands he should play as a modern keeper, sweeping up behind his defense, while Mourinho needed him deep. And then there’s Paul Pogba, who, yet again, disappointed. His talent is obvious, but perhaps Mourinho was right when last summer he suggested the World Cup is the perfect length for him, because he is incapable of focusing for more than a month. If a big-money offer comes for Pogba this summer, perhaps from Real Madrid, United might be best served taking it and using it to help fund a major overhaul of the squad. Solskjaer himself has let it be known that he is unhappy with the fitness and conditioning of his players. That’s an easy and obvious excuse for a new manager to make, but it would explain how United has gone from the sudden upturn when he arrived to the recent string of supine displays. To write him off on the basis of the past month would be as absurd as hailing him as a messianic figure at the beginning of March. But the task ahead at United is huge. The commercial arm is mightily impressive, but the squad needs major surgery, the stadium is outdated and the club’s recent record in recruitment and youth development is poor. Perhaps Solskjaer can oversee all that change, can persuade the board to release the necessary funds, but to do so he will need more than a friendly smile and an urge to worship at the shrine of Ferguson. Frankly, neither the win in Paris nor the defeat to Barcelona means much in terms of his capacity for such an enormous task.